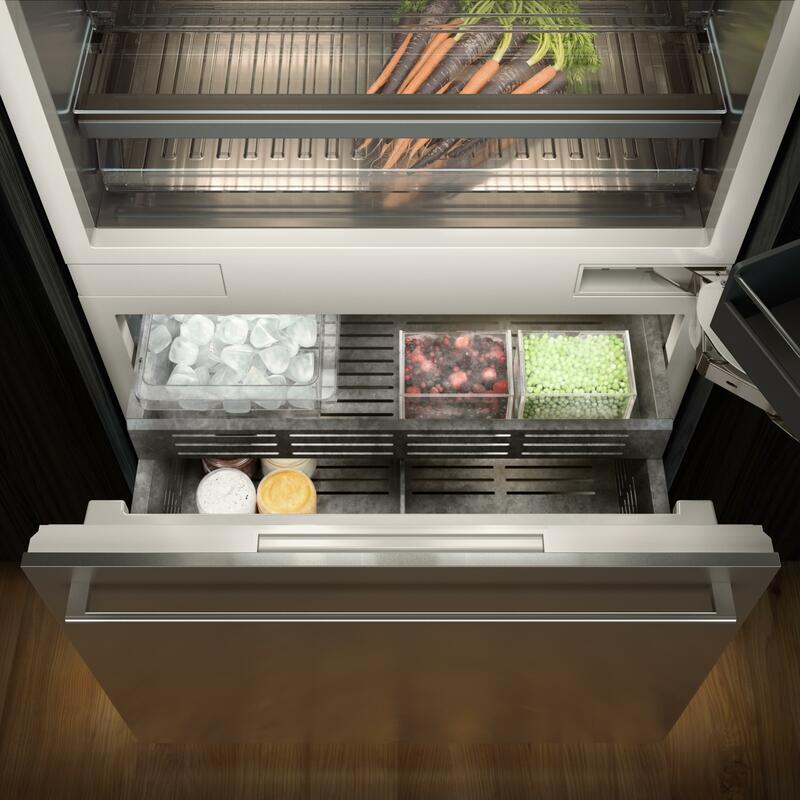 Gaggenau presents the new Vario cooling 400 series. Cooling that makes an architectural statement. Inspired by grand architectural structures, the new Vario cooling 400 series has been designed for those who appreciate the aesthetically advanced. Combining modularity with the smooth lines of seamless integration, these sculpted appliances redefine the landscape of the functional kitchen. 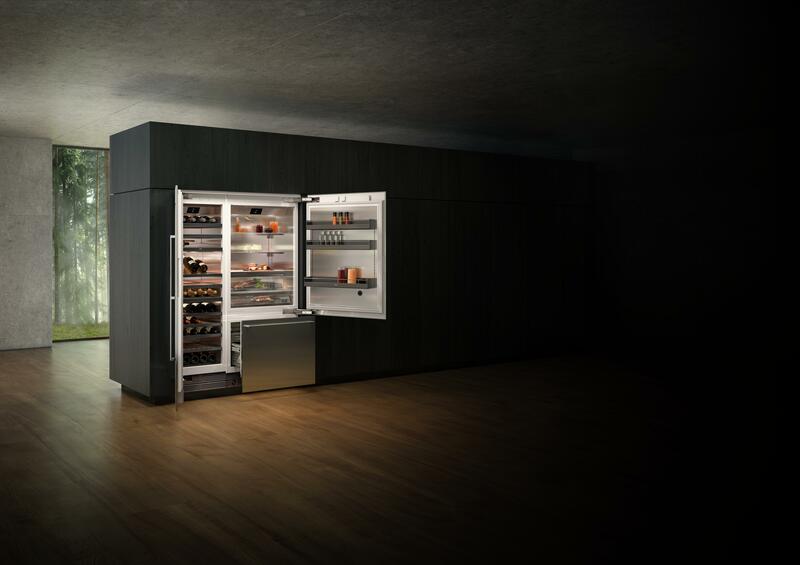 The Vario cooling 400 series variations are most impressive when combined to form an imposing cooling wall that integrates into the overall kitchen structure. 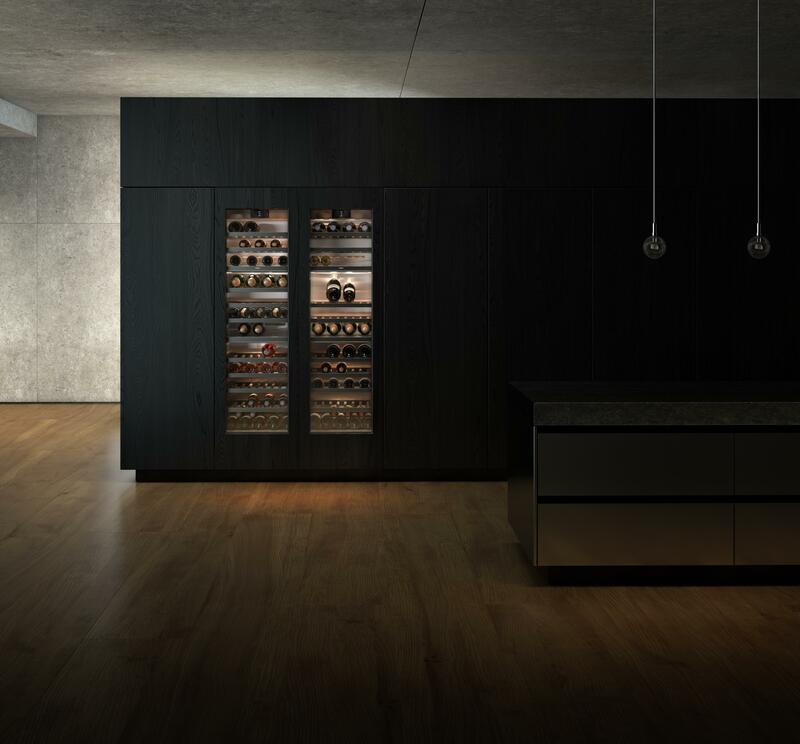 An expanse of handleless doors with individual furniture fronts, stainless steel or glass doors for wine climate cabinets, presents a statement in any private kitchen. The door opens to reveal a complete stainless steel interior and dark anthracite anodised aluminium elements. Imperceptible clear glass shelving and solid aluminium door racks are further complemented by a stunning atmospheric glow from the warm white, glare-free LED lights. 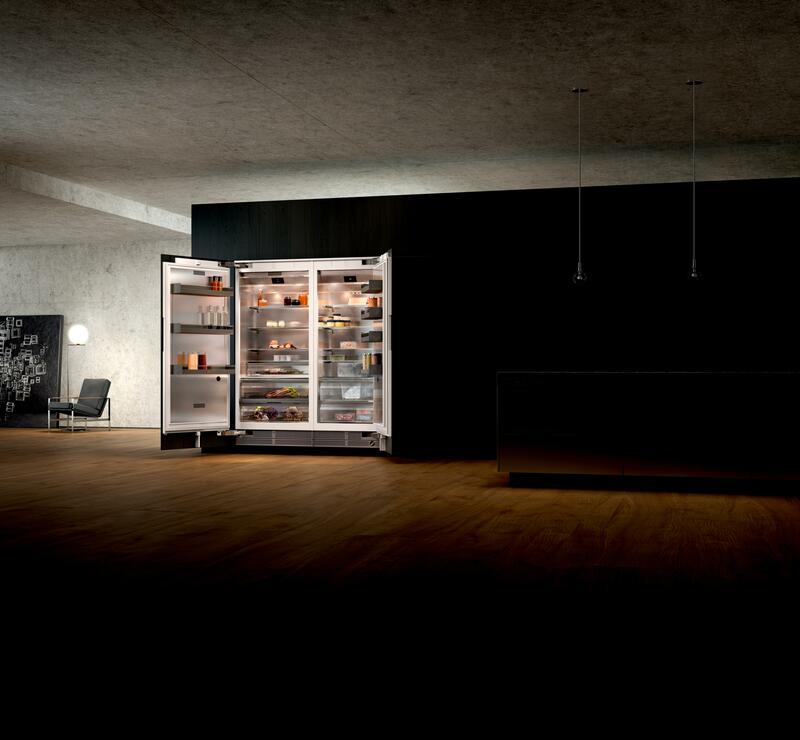 Throughout the newly launched series, Gaggenau debuts the exceptional opening assist system. Push to open the handleless door and the mechanism will open the portal for you. Even the door’s ice and water dispenser anticipates your needs and activates automatically the light and touch keys as you approach, thanks to its ingenious proximity sensor. Taking inspiration from the oak barrels used to age wine, the Vario wine climate cabinets 400 series features telescopic rails which allow oak and dark anthracite aluminium bottle trays to fully extend for gentle handling. 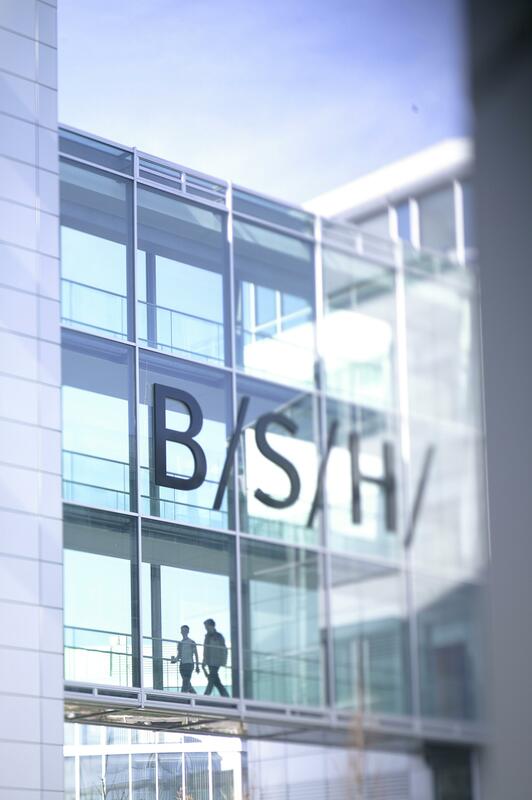 Further safeguards are provided by the cabinet’s low vibration, humidity regulation; and the activated charcoal air filter which protects the wine from odour contamination. Up to three independently controlled climate zones can also be adjusted via the newly installed intuitive TFT display, so that part of your wine collection can be stored in cellar-like conditions while bottles that should be enjoyed now, can be served on demand. 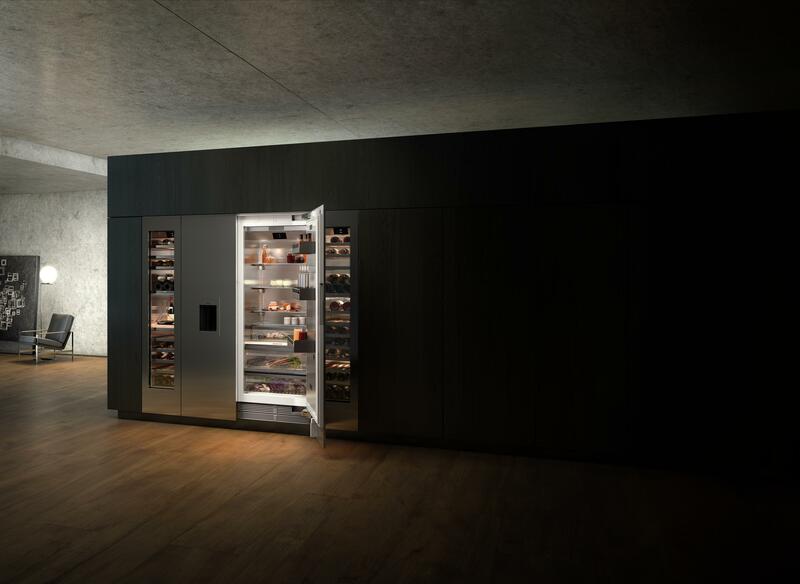 Additionally, Gaggenau has further enhanced the Vario wine climate cabinets 400 series to include five preset lighting scenarios, perfect for showcasing prized collections that deserve to be admired. 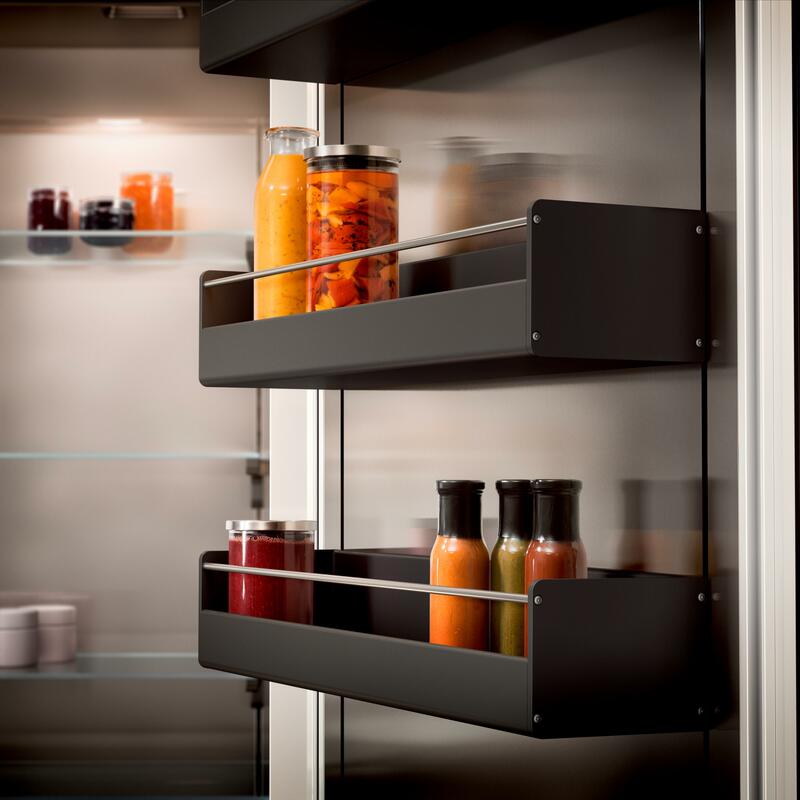 Gaggenau believes that the kitchen is the heart and soul of the home and the products that you choose perform perfectly, and integrate seamlessly. The new Vario cooling 400 series are kitchen appliances pioneering the way for functional art that fits into the lifestyle of the discerning and cultured individual. RW 414 364 | Energy efficiency class: A | at a range of energy efficiency classes from A+++ to G.
RF 463 304 | Energy efficiency class: A+ | at a range of energy efficiency classes from A+++ to D.
RC 472 304 | Energy efficiency class: A++ | at a range of energy efficiency classes from A+++ to D.
RC 492 304 and RF 471 304 | Energy efficiency class: A++ | at a range of energy efficiency classes from A+++ to D.
RW 466 364 | Energy efficiency class: A | at a range of energy efficiency classes from A+++ to G.
RB 492 304 | Energy efficiency class: A++ | at a range of energy efficiency classes from A+++ to D.
The Vario cooling 400 series – cooling wall concept. The Vario cooling 400 series – minimalist internal aesthetics. The Vario cooling 400 series – anthracite anodised aluminium door racks. The Vario cooling 400 series – warm white LED lighting. The Vario wine climate cabinets 400 series – perfect for showcasing prized collections. 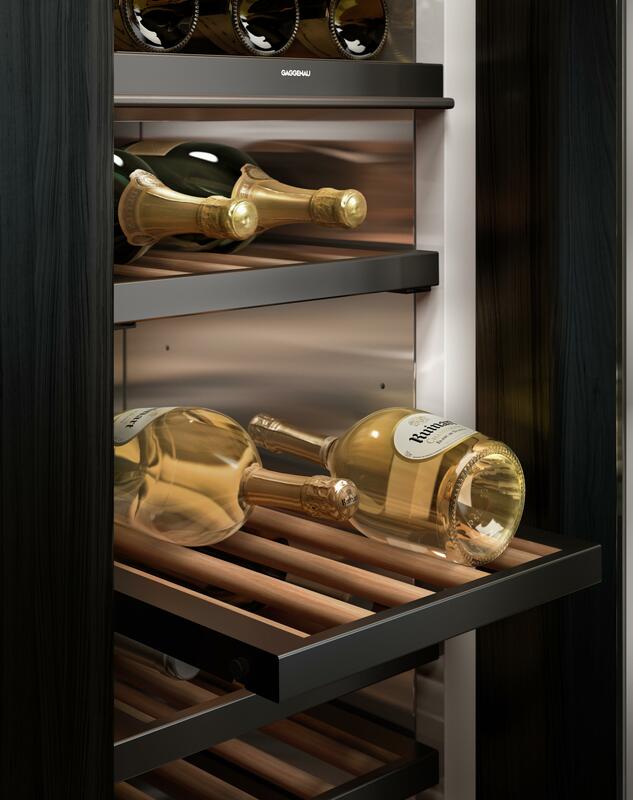 The Vario wine climate cabinets 400 series – fully extendable bottle trays.